Started ninth, finished second to earn nine bonus points. Crew told Bowyer he was the fastest car on the track on lap 14. Climbed to seventh by the lap-30 competition caution. Bowyer asked for no adjustments during his pit stop. Moved into second place on lap 75, often turning top lap times. Best stage finish since winning Stage 2 at Pocono International Raceway on July 30, 2017. Started second, finished ninth to earn two bonus points. Bowyer immediately reported his car felt much looser in the corners. Dropped to eighth before pitting for adjustments under green on lap 128. Adjustments paid dividends as Bowyer began climbing through the field and turning quick lap times. Pitted under caution on lap 158 for air adjustments. Bowyer restarted the race in 10th with seven laps remaining in the stage. 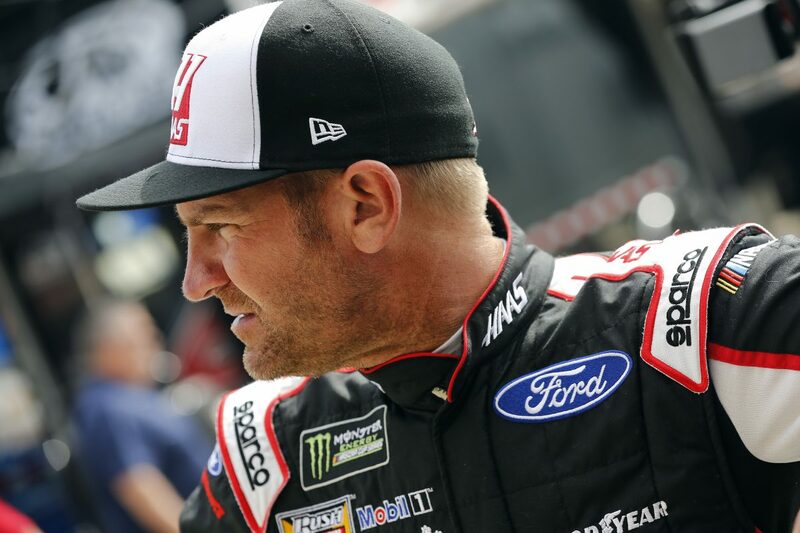 After some frantic racing in the final laps, Bowyer finished the stage in ninth about five seconds behind the stage winner. Bowyer moved to fifth by the lap-200 mark as rain began to sprinkle the track. The rain held off, and Bowyer showed he would be a threat for victory lane. Bowyer restarted the race in fifth with 23 laps remaining. Surged to third on the restart and likely would have finished second if the race had lasted another lap. Kevin Harvick’s victory in the Folds of Honor 500 marked the 44th overall win for Stewart-Haas Racing (SHR). It was the organization’s 40th points-paying Monster Energy NASCAR Cup Series win and its second at Atlanta. Tony Stewart won at Atlanta on Sept. 5, 2010. This was Bowyer’s first top-five and sixth top-10 finish in 18 career NASCAR Cup Series starts at Atlanta. There were five caution periods for a total of 28 laps. Thirteen of the 36 drivers in the Folds of Honor 500 finished on the lead lap. The next event on the Monster Energy NASCAR Cup Series schedule is the Las Vegas 400 on Sunday, March 4 at Las Vegas Motor Speedway. The race starts at 3:30 p.m. EST with live coverage provided by FOX.